Are you hygiene conscious to a point that you want the best out of your regular beauty parlour visits? Here are some tips to keep in mind! If you’re constantly trying to put your best face forward, it is inevitable that you frequent the beauty parlor often. Also, outside of DIY home remedies, your skin and hair do need professional grooming and attention every once in a while. Besides, who doesn’t like going to the Salon/ beauty parlor? Relaxing indoors, getting pampered, people looking after your skin, making you look great- what’s not to like? The one place on earth where you get 100% me-time! 1. Make that appointment: This is important if you want exclusive and not hasty attention from your beautician or hairstylist. They will not be multi-tasking or shuttling between two clients. Besides, priority always is given to a client who has booked the time – even of the surprise client is a regular one. If you’re more than a few minutes late, don’t be offended if you get short shrift or if you lose your appointment altogether. Being late happens, but take responsibility when it’s your blunder. Just as you would hope the stylist or salon would call you if they are running behind, it’s always fine to call the salon to let them know you’re going to be late. 2. Timing is important: While on the subject of time, do give your skin some time to breathe. We all are short of time, but give your skin some time to rejuvenate after a therapy. 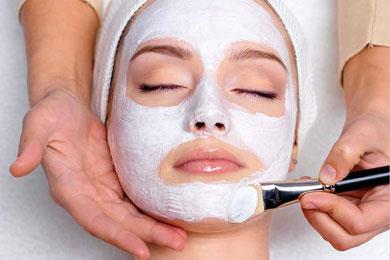 Don’t go for facial, clean-up or any skin related treatment on the day of your important event. If you have to attend an event on Sunday, the best day to visit the salon for your facials is Friday or Saturday. Visiting early gives you time to deal with any unfortunate after-effects of the treatment eg: zits, redness etc. and also lets the skin glow with the full effects of the treatment. (For blow dry and make up you should visit the salon on the same day). 3. 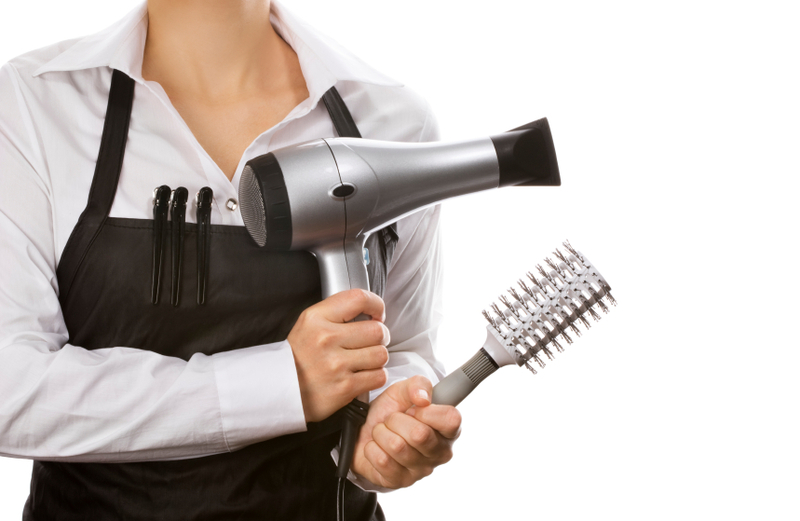 Brief the technician: Stylists often ask for what you want, but then seem to ignore or disregard everything you say. However, you also must keep in mind that lots of clients want haircuts that won’t work for their hair type, or they have completely unrealistic expectations about what’s possible with their hair. 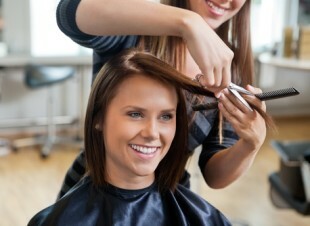 There is a reason why a stylist is there – she is qualified and can tell what is best for you. Bring pictures of the haircuts and styles you admire. Show your stylist what you have in mind, but be prepared to accept it if the answer is no. Have realistic expectations. Expect your stylist to explain (clearly) why the look you want isn’t possible or realistic for your hair, then move on to discuss what is possible, and make sure you both understand and agree on the desired outcome. Remember, stylists work with shears, not magic wands. 3. Choose well: You need to use brains to choose what type of skin or body treatment or hairstyle you want. Choose the right facial/clean-up for your skin type and condition. Understand your skin, listen to the salon professional, ask questions and most importantly, use common sense. For example, if you are still in your 20s, don’t go for anti-aging facial. If you have oily skin, don’t go for one hour deep cleansing with gel or rich creamy facial. If you are going to spend a 4-figure amount on a facial, don’t take a hasty decision. Do a little research and then take a call. Just because it’s expensive, doesn’t mean it’s the right one for you. Also, remember to keep the weather in mind. If it’s hot and humid, no point going for a heavy duty cream and if it’s cold, doesn’t make sense opting for a gel-based facial. 4. Keep your lifestyle in mind: The key to the success of a salon visit is also in your lifestyle. If you work a lot with your hands, a dainty gel manicure with finger jewels will probably not last more than a couple of days. Tell the hairstylist how much time you spend styling your hair each day. If 10 minutes tops is what you want, don’t ask for a style that takes longer than that. 5. 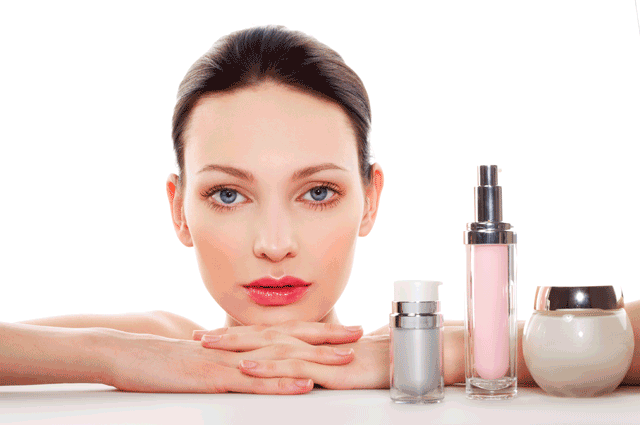 Fresh products only: The efficacy of most skin care products starts diminishing after 12-16 weeks of opening the pack. That’s why we always recommend not go for large packs for home use. However, parlor-packs are always big in size. You have to be very careful here and try and figure out when your ‘facial kit’ was uncorked. Using old or expired beauty products, such as creams and masks is one of the reasons why the facial that gave you a perfect result the first time, looked like a complete waste of money, the next. Many brands have single-use salon packs, and this is the way to go. 6. The hygiene factor: While most of new age parlors maintain a decent level of hygiene, it’s always good to check for basic signs of hygiene like clean sinks – no hair-clogging, clean towels and well washed and maintained brushes. One often overlooked step is to sanitize your hands before doing a manicure – make sure your salon has ready access to hand sanitizers. Similarly, proper cleaning of skin before waxing is essential to prevent infections and swelling. 7. Sterilization: When you make an appointment, make sure to ask the salon if they use a hospital grade sterilization system such as an auto-clave sterilizer. It’s the best way to prevent infections. 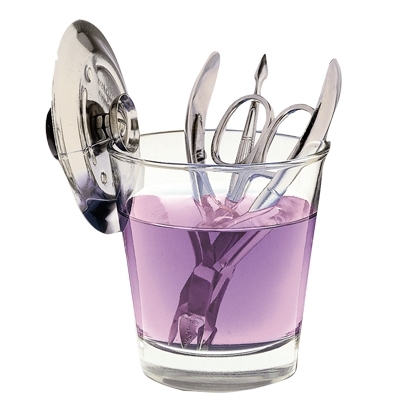 You can bring your own manicure tools if you feel uncomfortable using the salon’s tools. Also, make sure the salon cleans the pedicure bowl with antiseptic soap or spray and that the manicure table is clean with no nail dust or any residue from the previous client. If a nail file or nail instrument is dropped on the floor, don’t allow the technician to continue using it, and don’t allow a nail tech to re-use a buffing pad on you: it should be disbarred after each use. Nail techs must wash their hands after providing each manicure or pedicure. 8. Get what you’re paying for: The rates of most of the facial treatment packages in salons are dependent on the brand of products they will be using in the treatment. So just keep an open eye to ensure you are actually getting what you’re paying for from start to finish. 9. The tipping point: Finding a good stylist can be as challenging as finding a good mate! When you find that perfect match, you have to be good to them to keep them happy—and when it comes to keeping your hairstylist happy, it’s important to know the expectations for tipping properly at a beauty salon. 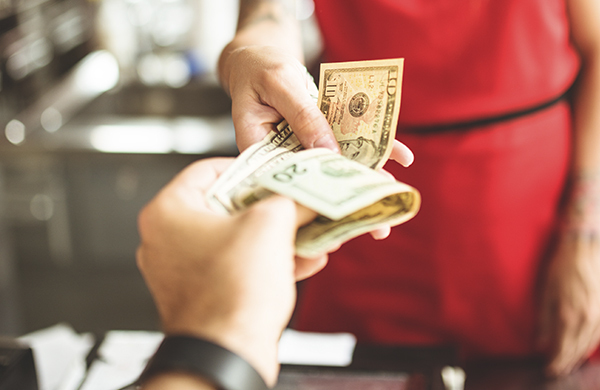 While there were a few variations on how to best tip (and who you should consider when tipping), a 10-15% tip on the total bill is what is universally good. 10. Dealing with clashes: Maybe not always, but from time to time tension can develop between you and your stylist/ beautician – and the goal is to defuse it—or to know when you have a mismatch and need to move on to someone else. Even the best stylists have bad days or make the occasional mistake, just like all of us. That being said, you should never be the client from hell. No stylist wants to deal with a client who demeans or disrespects, or treats them as an underling. Speak up, but do so in a kind, courteous and as rational a manner as possible (even if you’re freaking out inside). 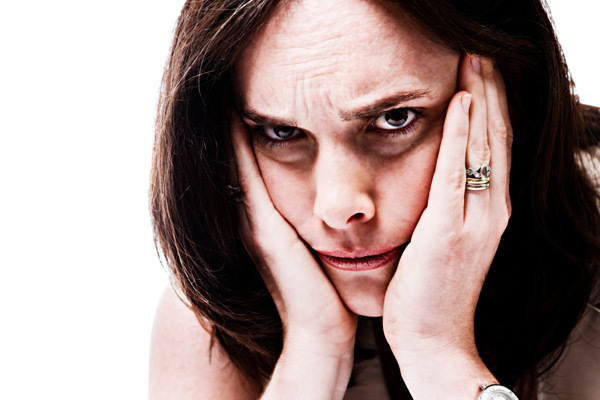 Tell your stylist (or the salon manager or front desk staff) that you’re unhappy with how your hair turned out. Keep your composure, and clearly state what you don’t like about your hair. Is it too short? Not enough layers? Is the color red when you wanted burgundy tones? Be as specific as possible so the person you’re speaking to will know how to fix. It is fine to withhold payment for the service until it is done to your satisfaction. Whether fixed on the same day or at a later date that’s convenient for both parties, do not pay for a salon service if you’re unhappy with the results. If the salon insists on payment, be sure you have written confirmation that the cost to fix the problem will be zero (as in free). As the client, you should expect a gracious level of customer service, but it’s also your responsibility to be gracious in return. 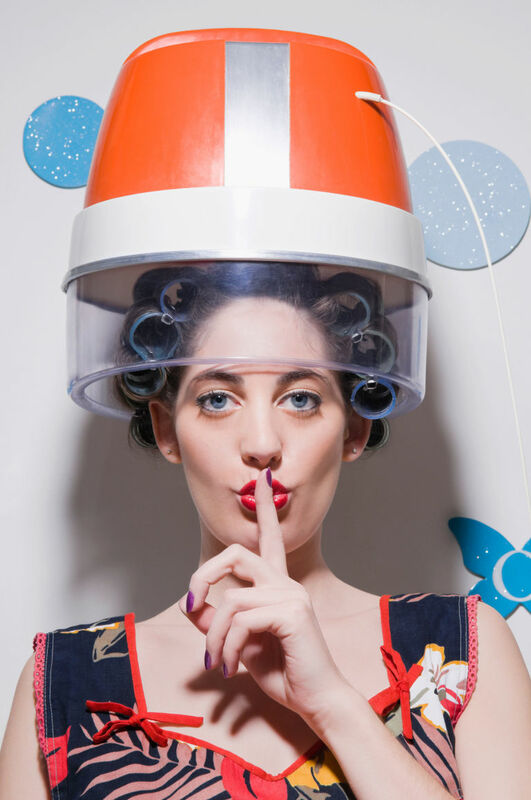 Believe us, salons know which clients are unreasonably difficult or downright mean—you don’t want to be on that list! If you have anything to add to this list, please use the comments section below.